Let’s get on with today’s Q&A! Ok, so first up, do you know who your clients are? Who is buying your services? What’s your ideal customer? You know what you are selling too? And you’ve made it clear on your website? It goes without saying that your passionate about it! That’s the first thing to sort out! And a subject for a whole other blog post. Seek out your customers before they even know they want to be your customer! Find your ideal client and just start getting to know them and building up a relationship. I would add that only do business with people that you genuinely like. Also, just see who is asking for help on twitter/facebook/linkedin and if you can answer a question spare a few minutes and make a great impression at the same time. Who have you already done business with? Who can they introduce you to? Don’t be afraid to ask. I don’t only mean selecting networking events (and don’t forget to attend events that are OUTSIDE of your industry), but you never know who you are going to meet when you are out and about socialising. Put yourself in the centre of your industry! I run the Birmingham Social Media Cafe for creatives and businesses that have an interest in social media for work or play. A well as getting to meet up with lots of great local people each month, I get to do business with some of them too! Team up with someone for a short term project or for sharing co-referrals. 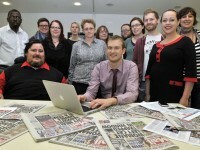 Do something newsworthy and get yourself and business in the press! Think of the advertising costs you will save. 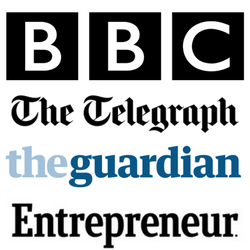 You never know who will be reading it, plus being talked about positively in the press is far more effective than any paid for advert you can run yourself. They say it’s the place to be if you are in business. Get involved in group. Get known for being an expert in your industry. Start and lead a group yourself! And don’t forget to use it to keep in touch with all your connections. Check out my post about Linkedin Success. How many times have you ‘clicked’ with someone and they have shown an interest in your services and you get home and wait for them to follow up with you? Take the lead. Strike whilst the iron is hot! You never know who is going to be looking, so make sure you make it clear what help you can offer and your services. Even if they don’t buy your services directly from you (and yes, I said BUY. Ok, you can give them a discount! ), you can ask them to keep you in mind should they see the chance to make an introduction to some-one they know. So there are 10 ways to find your next best clients! As for me? I’m always open to try new ways to market my services. I’d say this year roughly 90% of my customers are people that know me and have met me. After all, we are all familiar with this business saying…. What can you apply today that will radically change where you find clients and how they find you? 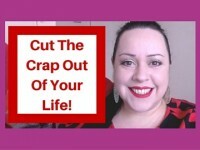 This is what happens when you cut the crap out of your life! 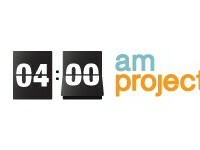 4am Project is back on 14th April! Get your camera ready! In the early days I had lots of success running regular searches on Twitter for people who needed my services and contacting a select few – I gained some of my regular clients that way. Also friends and family work well – I talk about my business on my personal Facebook timeline (a bit) and have had several referrals via friends who gathered what I was doing and remembered me when someone needed services like mine. I now get most of my work through word of mouth and regulars, but getting out there and letting people know about you is vital in the early days particularly. Thanks for your comment. Using twitter in that way is a really good idea! I’m going to try that too. I’ll let you know how it goes.